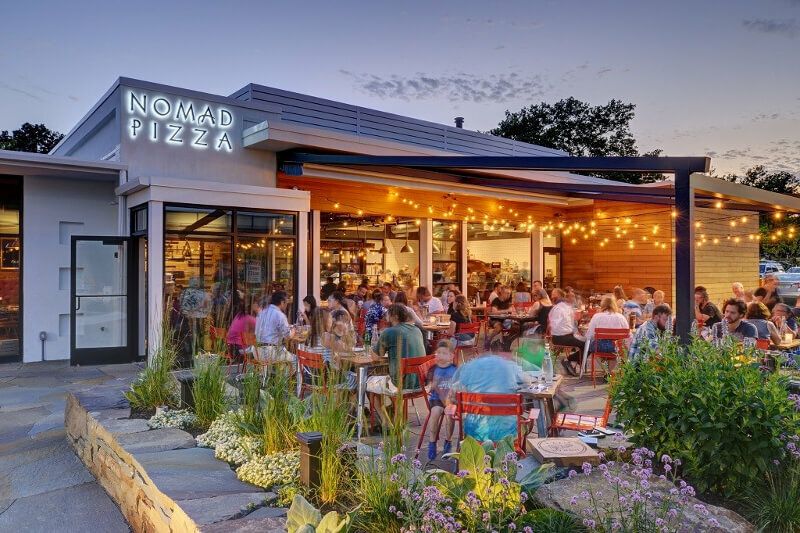 Architect Joshua Zinder AIA, founder and principal of JZA+D in Princeton NJ, took on an adaptive reuse project to turn a 1930’s filling station into a trendy restaurant named Nomad Pizza. 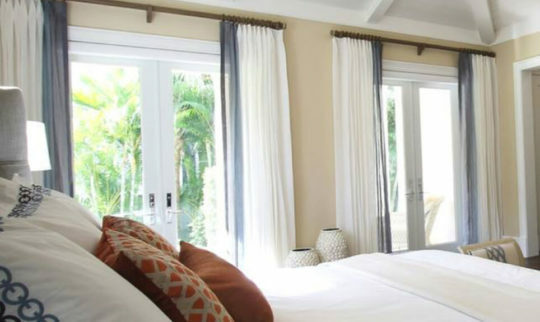 In order to maximize the seating in the patio area, indoor-outdoor seating area was designed which incorporated the original bay doors as well as a waterproof motorized patio cover. This patio cover (called the Gennius) was chosen to help accentuate the modernist look of the structure without taking away from it. 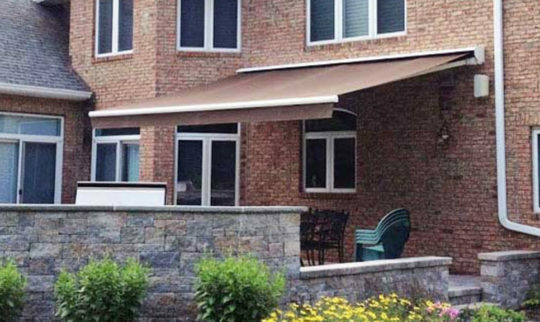 The awning also serves functionally to protect diners from harsh sun and inclement weather; while at the same time allowing alfresco dining when desired. The Gennius has a unique ability to span up to 26’ of projection without interior support columns. 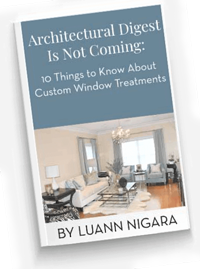 Window Works was chosen to cover the patio with the Gennius in a multi-phase project. Initially, just the pergola framework and retracting fabric cover were installed – together with integrated front motorized exterior solar shades (“retractable walls”) to add privacy and comfort between the seating area and adjoining shopping area. Phase 1 was completed in just 3 days, adding an additional 80 seats to the floorplan. 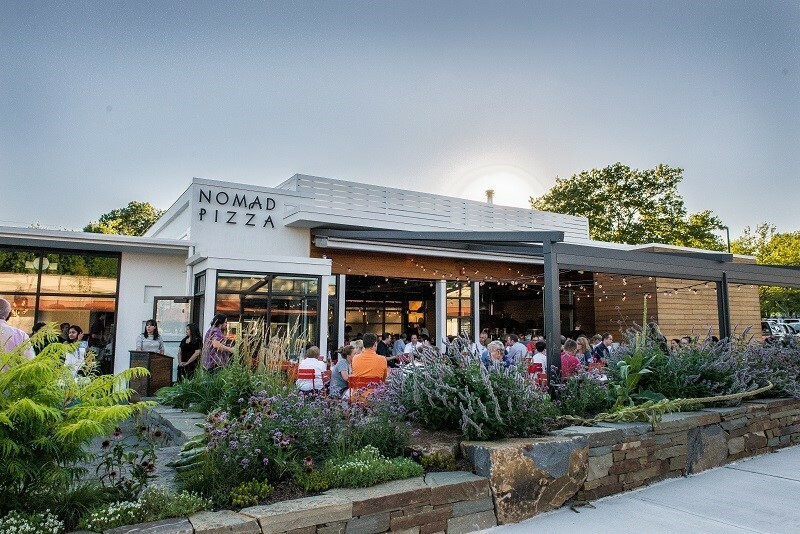 During the second and third phases, additional motorized shades were installed along the sides, along with egress doors and stationary fabric panels; giving the restaurant the ability to completely enclose the patio with the touch of a button. 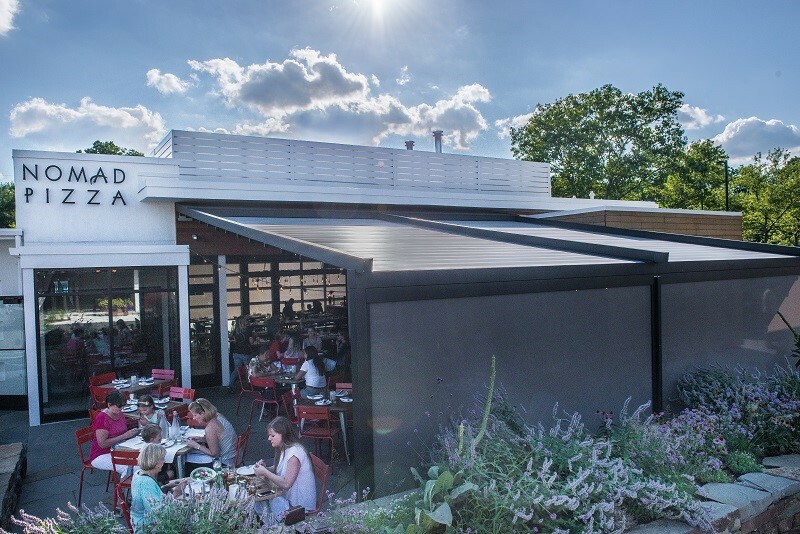 High performance infrared heaters were installed to the structural framework of the awning to maximize revenue and extend the seasonal use of the outdoor seating. What was once an eyesore in the Princeton Shopping Plaza is now one of the trendiest new restaurants in town. 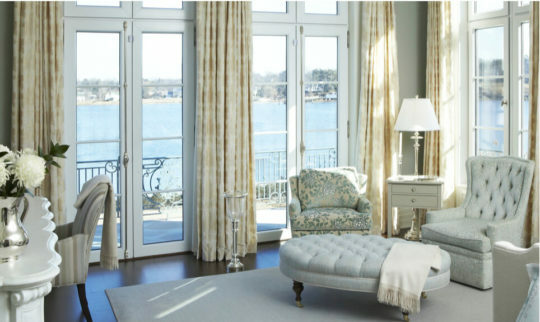 Satisfied with the quality of our products and service, owner Tom Grimm has contracted Window Works to do additional work in the Princeton location and has sought input on others.